Having worked for the United Way of the Capital Area (UWCA) for nine years, Ira Murray thought he had served his time and had reached a good point in his career and was ready for change. “I knew that I wanted to do more in the area of education and in order to do that, I knew that I needed more education…more research, under my belt,” said the energetic newly installed president and CEO of UWCA. 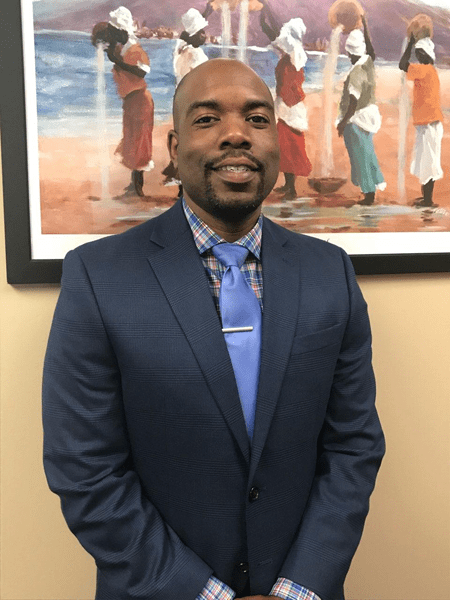 Murray, who previously served the UWCA as director of community investment from June 2006 to June 2007 and vice president of community impact from June 2007 to June 2014, packed his family up and headed to Pittsburgh, PA to pursue his doctorate degree. He was a K. Leroy Irvis Fellow at the University of Pittsburgh School of Education and Center for Urban Education. He recently received his PhD from UP’s Department of Administrative and Policy Studies, where he concentrated on issues such as race, equity and achievement in urban schools and communities. It typically takes 4-5 years to complete this track, Murray got it done sooner. “I finished all of my course work in three years, because I wanted one of my favorite professors whom I met while working on my master’s degree at Vanderbilt to chair my dissertation. Murray said prior to learning about the job opportunity at his old stomping grounds, he had another job offer to join the staff of a prestigious university, but his heart was in Jackson. “I love Jackson, I met my wife here, we maintained our connection with our church here, we brought our daughter here to be baptized. Jackson won me over the first time. Although the UWCA, a local nonprofit organization is located in Jackson, it serves Hinds, Madison and Rankin Counties. “We want people to know that not only are we here, but we are here to serve the entire metro area,” Murray said. According to its website, UWCA’s mission is to bring the community together and focus resources on the most critical human care needs. By partnering with businesses, individuals, government and other nonprofits UWCA is able to monitor the needs of the community and respond as issues or opportunities arise. As a convener, collaborator, founder and leader in addressing health and human service issues, UWCA fulfills a unique role in making our community a better place. Murray is a member of the American Educational Research Association and the American Educational Studies Association, and has also served on the boards of organizations such as the Greater Jackson Chamber partnership and the Young Professionals Alliance of Greater Jackson. Murray, his wife and daughter are happy to be back in the metro area. Murray is ready to lead by service.